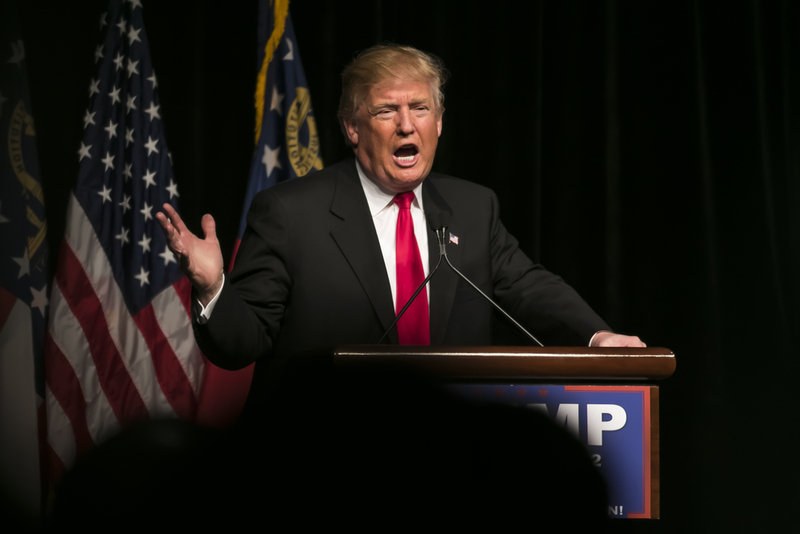 Donald Trump is proving himself to be a ubiquitous entity – at least within the automotive world. Perhaps it’s the tweets, perhaps it’s the cult of personality. Undoubtedly, achieving the United States Presidency could be the last strike on his bucket list (unlikely), which helps further cement his ubiquity. Will Donald Trump be attending the Detroit Auto Show this upcoming week? No, he won’t be, but nonetheless he is still having a sway on how the world’s biggest carmakers are approaching it. Uncertainty. Unease. Suspension. These are words that can describe the sentiments the industry’s standing between themselves and the President-elect. Some car manufacturers are pulling out billions of dollars’ worth of investments in Mexico, while some are fording through the criticism and putting in billions worth of production facility investments. Since the New Year, Trump has taken to Twitter on four separate occasions to either shame, threaten, or praise carmakers. The most notable threat is the proposed 35 percent tax hike on all products made in Mexico. The latest party to turncoat on the Mexico issue was Fiat Chrysler, their CEO made this statement in Detroit just as the media previews began for the Detroit Auto Show. You may be asking yourself, “Okay, so what does this have to do with the auto show itself?” This is the backdrop. This is the climate that all the big car makers – American or not (the US, by the way, is the second largest automotive market second only to China) – have to take into consideration before being involved with one of the biggest automotive showcases of the year. The show doesn’t start until January 14th, so to build anticipation the first two preview days were reserved for the press. “I think Trump’s impact on the auto industry will be the number one question that auto executives here are asked. You can feel his presence here,” Michelle Krebs, who is a senior analyst at AutoTrader.com, told the Washington Post. See what I mean about ubiquitous? When Toyota unveiled their latest Camry to the press, president Akio Toyoda made sure to highlight the fact that not only was the Camry the bestselling sedan in the country, but that it has been long manufactured here (for nearly 30 years!). As you might have guessed, a statement like this is completely random. As is customary at this point, Trump blasted Toyota threatening them to not build any plants in Mexico earlier this month. To end this specific point, Toyota has since announced a $10 billion dollar investment in the United States. To put that in perspective, Toyota has put just over $30 billion into American-based investments over the last 30 years. That is huge! So basically, it seems like one of the main highlights of the Detroit Auto Show presentations is the idea of “American made” work being made for American citizens. While it does reinforce that patriotic mindset that Trump is so vehemently trying to protect, it’s more political than that. I think it would go too far to say that these carmakers are afraid of Trump and that they are stressing the whole “Made in America” principle as a means of appeasing him. It’s not fear, but it is attention. And that’s what Trump has – he has their attention.